T&C Site Services Ltd are earthmover tyre specialists but we can also handle a wide variety of OTR work. 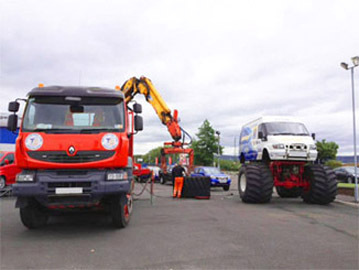 We regularly preform on-site repairs for OTR, industrial, agricultural and plant tyres. 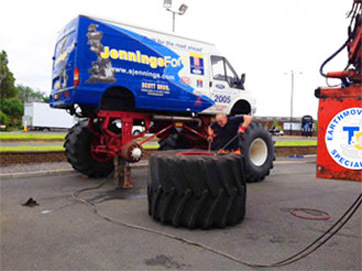 Check out this 66/43.00×25 tyre we repaired for Jennings Ford’s monster truck. Yes, you read correctly, monster truck! It is our first monster truck tyre repair! We know about tyres and it is our business to keep your fleet running whether it consists of one vehicle or many. T&C Site Services is the largest independent earthmover tyre specialist and service provider in the UK. 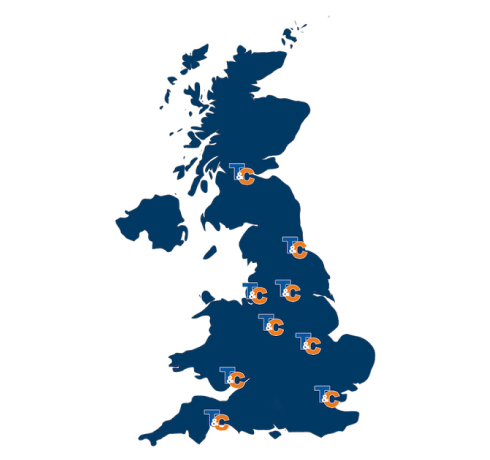 Nation wide coverage and 24 hour availability ensure we are the leading breakdown service. T&C Site Services also offer tyre management programs, vulcanised repairs, tyre fitting and sell new, retread and part worn tyres.